Musings on the craft of personal narrative and memoir writing. 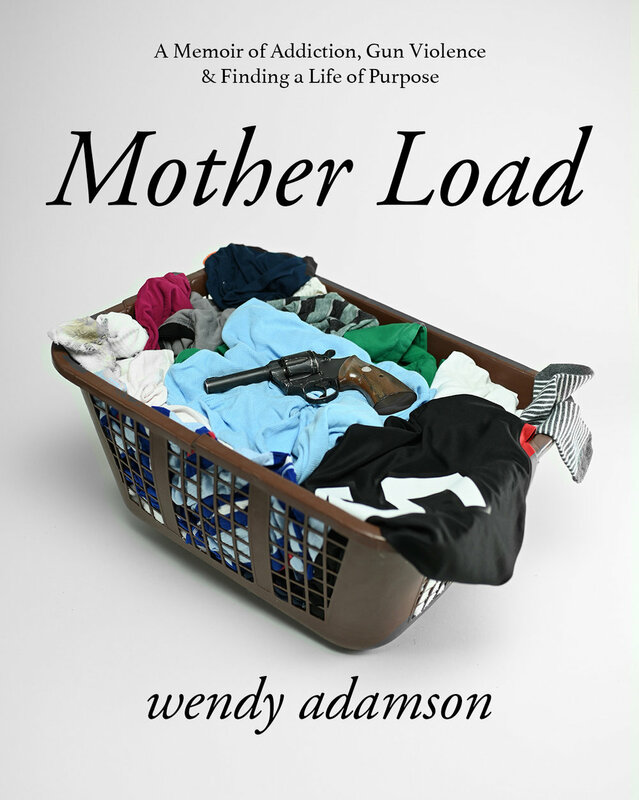 I'm thrilled to share that Wendy Adamson, a former member of the Unlocking Your Story workshop, is coming out with her debut memoir MOTHER LOAD on May 12th from Rothco Press. It is truly soul satisfying to witness a story grow from its tiny seeds into a full-blown narrative that can now be shared with the world. Hers is an affecting story of recovery and triumph from the dark depths of addiction. In our interview she shares how it feels to expose her truth to the world and how having a sacred space early on in the creative process was vital. With over twenty years of experience, Wendy Adamson is a seasoned professional in the field of mental health and drug and alcohol rehabilitation. She not only has a vast knowledge of addiction, but as a sober woman, she has a deep understanding of the recovery process as well. With her Certification in Alcohol-Drug abuse from UCLA Wendy has been able to help hundreds of suffering individuals get the help they need. Wendy is also a dedicated activist who has been instrumental in directing the vision of Hav A Sole, a nonprofit whose mission it is to deliver high-quality tennis shoes to homeless and at-risk youth. Using her writing, marketing and outreach strategies, Wendy has helped turn Hav A Sole into a thriving organization that celebrates Los Angeles as a caring and connected metropolis by building community through volunteerism. As an inspiring speaker, Wendy shares a heartfelt message of hope as she candidly talks about her own addiction, before launching into how she turned her life around. With long-term sobriety, Wendy believes that only by telling our personal stories of recovery can we heal the shame associated with mental illness and addiction. Wendy is a passionate communicator whose goal is to invoke social change by de-stigmatizing the disease. In her new memoir, Mother Load, Wendy shows us how a little league, PTA mom can get dragged down the rabbit hole of methamphetamine when she has a psychotic break, shoots her husband’s mistress and ends up in county jail. That was over twenty-five years ago and thankfully, Wendy is still sober. For someone who seemed destined to end up a sad statistic of drug addiction, the fact that Wendy not only survived, but is a thriving, productive individual is a testament that transformation is possible. Karin Gutman: Oh my, congratulations. I am beyond thrilled for you! Tell me, how long have you been working on your memoir — MOTHER LOAD — that will soon be released? Wendy Adamson: Thank you so much, Karin. Honestly, I first knew I was supposed to write Mother Load 20 years ago. But it took 10 years to actually start working on it and another 10 years to finish it. Karin: Can you share what it’s about? Wendy: In Mother Load, I show how as a little league mom I got dragged down the rabbit hole when in a drug-induced psychotic break, I shot my husband’s mistress in the arm which landed me in the county jail, when I was 38 years old, the same age as my mother was when she had her psychotic break and drowned herself in a bathtub. I was 7 at the time. While I was determined never to be like my crazy mother, it seemed as if I was following in her footsteps. Mother Load is a story about my undoing, and what it took to put my life back together again, so I could go on to become the mother I never had when I was a kid. Karin: You were in the Unlocking Your Story workshop early on in the process. In what way did that writing space support you? Wendy: Having a safe writing space was critical in my development as a writer. I had so much shame about shooting my husband’s mistress and the mistakes I had made as a mother, that it took me attending several workshops before I started to reveal some parts of my story in the class. Meanwhile, the structure, prompts and valuable guidance, made me feel more at ease as I developed some writing skills. I remember the first time I shared my pages about the night I went to jail. I was so scared of being judged that my heart was pounding inside my chest. When I was finished reading I could barely look at anyone. But as we went around the room, all the women were so incredibly supportive with their feedback that it ultimately allowed me to become even more vulnerable in the class. Karin: What were the most challenging aspects of writing your story? Wendy: I grew up in a household where we were told never to talk about my mother’s mental illness. So, keeping secrets was a behavior I learned from early on. Even though my mother and father were long gone, to break the silence was a constant internal battle for me. There were times I felt like I was undoing the pathways that had been hard-wired inside my brain. I had to commit to sitting down every morning before work and write my truth no matter what. What helped keep me focused was a deep desire to help others who were struggling with addiction or mental illness. I have read plenty of books about horrible parents written by the children, but I had never read a story of a mother who becomes determined to heal the family’s wounds. Since I work in an adolescent mental health treatment center, I knew it was a story that parents needed to hear. Karin: What have you discovered about your story through the writing process, something that you might not have been conscious of at the beginning? Wendy: When I got sober I was extremely fluent in Victim-ese, blaming everybody else for what was wrong with my life. Through my speaking in juvenile halls or prisons and through my writing, I have been able to assign a new narrative to all the adversity I have been through. Nothing is wasted if I’m willing to use it as a tool to help someone else. Karin: I believe that writing our stories is transformative. Is that your experience, too? If so, in what way have you been transformed? Wendy: Sometimes when I was writing I would feel a conviction of being aligned with something greater than myself. It filled me with confidence instead of my usual self-doubt. I think the transformation occurred as I began to discover a deeply committed and focused woman inside me, who would go to any lengths to get the book done. Karin: They say that writing is rewriting. How did you approach the editing process and getting the manuscript to a place where you were ready to share with an agent? Wendy: I made so many mistakes along the way and did everything completely backwards. At first, I got an agent with a book proposal before Mother Load was even completed. While some of the publishers said they liked the story, they also said I didn’t have a strong enough platform to sell it. After a year of rejections, I let go of the agent and got busy finishing the book. As I lasered in on the emotional thread, a cleaner, more developed version of the story began to reveal itself to me. When I had a strong enough first draft I hired an editor to help me go through everything and sent pages to her every week. During that process there were entire chapters I had to eliminate because they didn’t move the story forward or it didn’t reveal anything new about the character. After I was done I tried submitting the completed book this time. Karin: How did you land a publishing deal? Wendy: After nearly 100 rejections from literary agents from New York to L.A, I was a little discouraged. Finally, I decided to submit my memoir to a small independent publisher by the name of Rothco Press. I was ecstatic when they told me they loved Mother Load and wanted to publish it. Karin: How does it feel to share your life with the world? How did you get beyond any feelings of fear you might have had in exposing yourself? Wendy: I still find myself vacillating between excitement, terror and fear. On the one hand, I am thrilled to have completed something that I can share with the world, but on the other hand, I still have some residual fear of being exposed. All I can say is the one thing that trumps any fear, doubt or worry is the deep desire I have to help others. There are so many individuals suffering out there like I did who need to know despite anything you’ve been through, it’s possible to heal your life. Karin: Did you have to address any liability issues with people in the story who are still alive? Funny you should ask. It was just last Thanksgiving that I saw my ex-husband and told him he was in my book, but that I had changed his name. He chuckled a bit at the notion that he would be in my memoir, but I’m not sure his new wife (not the one I shot) was quite that amused. I changed most of the names to avoid repercussions, but thankfully my two boys have turned into my biggest fans so I left their names the same. Karin: Imagine yourself way back at the beginning of the process. What advice would you give her? Wendy: Trust in the process. Find your voice and you’ll find your power. Hear Wendy read an excerpt from her book at KPCC's Unheard LA. To learn more about Wendy, visit her website and buy the book! I'm taking a slight detour from memoir, to learn about writing historical fiction! My dear friend, mentor and colleague, Jule Selbo, recently released her book about the legendary explorer John Cabot. Jule has been instrumental in my path as a educator. As the former Chair of the MFA screenwriting program at Cal State University, Jule invited me to teach Story Structure to undergrads after completing my degree. It's no surprise that she says 'structure' is the thing she comes back to time and again, no matter what she is writing - a play, screenplay or novel. I wholeheartedly agree and highly recommend her book Screenplay: Building Story Through Character if you want to learn more about her approach. It can be applied to any story you're writing, not just a screenplay! Jule Selbo is a tour de force! She has written feature films and television series for major studios and networks, and plays that have been produced in New York City and Los Angeles. In addition, she has written books on screenwriting and created the Masters of Fine Arts in Screenwriting program at California State University, Fullerton, where she is a professor. Jule's debut historical fiction novel, John Cabot: Dreams of Discovery, captures the life of the great explorer. As a child, Cabot dreamed of captaining a ship across a mysterious, uncharted Ocean - from Europe to the riches of China. In the 15th century, the Turks had a stranglehold on the Silk Road, the only viable trading route from Europe to the Far East. There were promised riches and glory to the one who could find an alternate route to Asia. This is a story of a determined man who risked everything. Karin Gutman: What drew you to write a book about John Cabot? Jule Selbo: A wonderful Italian-American man named Robert Barbera became determined that one of his legacies would be commissioning books on the Italians or Italian-Americans who contributed to America. His publishing arm is Barbera/Mentoris; he believes that books on actual people who overcame great odds to achieve goals can inspire. I was lucky to be hired to write two of these books—the first one is the story of Giovanni Caboto (John Cabot) and the other is about Laura Bassi, a scientist in the 1700s in Bologna, Italy who, taking her cues from the newly coined era called the Enlightenment, became the first woman to gain her doctorate at the prestigious University of Bologna. And after many obstacles, she became the head of the physics department, paving the way for many women to receive higher education in Europe. The story of Giovanni Caboto (he took the name John Cabot when he moved to England to get King Henry VII’s patronage) was a great challenge and that is partly why it appealed to me. Whereas Columbus was a bit of a braggart and attention seeker, Caboto kept his focus on two things: his dream of exploration and his family. Digging into his story, bringing the scenes and characters to life, researching the paths of other explorers and coming to an understanding of navigation and politics of the era—all of it was fascinating to me. Karin: Had you ever written historical fiction? How did you approach the process? Jule: I have been a history buff my whole life. When I wrote for George Lucas on Young Indiana Jones Chronicles we were asked to be as historically correct as we could be (that’s where the fiction comes in) as we brought young Indiana Jones to life. In one of my episodes, young Indiana hangs with Puccini during the first production of Madame Butterfly, in another he is with Bronislaw Malinowski in New Guinea (one of the first anthropologists), in another he learns to play tenor saxophone with Sidney Bichet. Of course, sometimes “adventure” was added and sometimes the adventure of the story was inherent—but the historical parts of the characters and era were true to the time. As far as HISTORICAL NOVEL, yes, this is my first one. How did I approach it? I spent many many weeks in research. Then I would start to structure how I might tell the story. My “boss,” Mr. Barbera, wanted a life to death story, so I knew I had a lot to cover. I needed to find, for me, what make this character “tick” and have the gumption to fight for his huge goal. Then I would go back to research. And write again. The Caboto book took about 9 months to write. I am a stickler for keeping it as “true” as possible. Karin: You call this a NOVEL versus an autobiography. How do you strike the balance between writing about someone’s life and taking liberties of fictionalizing it? Jule: The most interesting challenge is making the characters “talk” and creating the scenes and pushing the story forward. The goal was not to go over 70,000 words. That’s about 230 pages or so. That’s not a lot of pages to tell a complete life story. But because my background is screenwriting, the word “cut to” kept coming to mind. The questions, “what are the most important scenes that will get him from desire to actualization? What characters do I need to add just to make the story work and give Caboto someone to talk to? What characters would illuminate his desire? I knew Caboto had a brother, and they stayed close all his life, but Piero never was a sailor. That gave me a clue as to who Piero (brother) was. I knew Caboto married Mattea and that she moved with him to England. It made me wonder, because this was unusual for a wife to move herself and family away from familial home. It made me think she might have been adventurous too and, unlike many women of the time, acted on her desires. And what did it say about their relationship and love for each other? So I don’t think of it as taking liberties as much as putting the clues together and fashioning a full persona. I stuck to the trajectory of his life—his move from Genoa to Venice (getting in trouble there) to Catalonia and finally to England. I feel a duty to give the reader actual life facts wrapped in an “informative, exciting” read. Karin: You have such a widespread background as a writer - plays, screenplays, textbooks, etc. What new things did you learn, or that surprised you, with this new genre? Jule: How much I loved it. I always point to working with Lucas on Young Indy as one of the most fun and challenging jobs I had as a TV writer. The research, the facts, the history—bringing it all together in an entertaining way—it’s fun for me. I learned a lot more about how to research and where to find credible facts and information. Surface google searches are not the best places to rely on. And academic resources will, sometimes, disagree with one another. Only in digging, digging, and digging can one come to a moment piece and decide how to put all the clues together. Karin: What are some fundamentals of craft, the things that you return to time and again, no matter what you’re writing? Structure. I believe in telling a good story and I do believe a good story has strong structure—to pull the reading audience along. Karin: What do you hope that readers take away from this book? Jule: That there were incredible explorers in this era. They were led by what they imagined could be. That navigation was in its raw form, but a desire to know how the world was shaped propelled dangerous exploration. That having big dreams is exciting and that even though they may take time to come to fruition, they can be reached. That a person’s worth has little to do with others’ perceptions, but with self-satisfaction. Karin: What creative projects do you have cooking now? I know you’re always working on many things. Tell us something that you are EXCITED about! Jule: My historical fiction novel on Laura Bassi—I think it will be entitled Unstoppable: Based on the Life of Laura Bassi—comes out in October. She was a scientist who broke through many barriers set to keep women out of higher education and science in the 1700s. I am working hard to finish my first private investigator book based in Portland, Maine. My main character is a female ex-cop who had to leave the force for medical reasons and I love the character. My women’s fiction/romance book Piazza Carousel, that I published independently a year ago, has been picked up by a publisher and will be re-issued this Fall and the publisher has me signed to do a sequel. So my plate is full, but I am loving it! To learn more about Jule Selbo, visit her website. This month I am excited to share with you a very special person in my life, my longtime yin yoga teacher Denise Kaufman. Also a musician, Denise was part of the first all-female rock band—the Ace of Cups—who opened for the likes of Jimi Hendrix and Janis Joplin in the 1960s. The band never landed a record deal - until now! 50 years later they have released a double album with 21 tracks and contributions from some old friends like Bob Weir of The Grateful Dead. A perfect gift for the holidays, I might add! It is an incredible story, truly thrilling. You can hear more from Denise about what it's like to have a dream realized after all these years and why, she says, the timing is perfect. Growing up in San Francisco during the 1960s placed Denise Kaufman right in the center of the cultural revolution. Her commitment to social justice and exploratory approach to life led her to adventures in counterculture: from being arrested at UC Berkeley's Sproul Hall protests during the Free Speech Movement, to "getting on the bus” (as "Mary Microgram") with Ken Kesey, the Merry Pranksters and the Grateful Dead and forming the legendary Ace of Cups—an all-girl band that opened for Jimi Hendrix, The Band, and Janis Joplin. Denise is an esteemed yoga teacher who has studied with Robert Nadeau Shihan, Yogi Bhajan, Bikram Choudhury, Pattabhi Jois, and Paul Grilley. Her clients have included Madonna, Kareem Abdul-Jabbar, Quincy Jones, and Jane Fonda. Denise lives between Venice Beach and Kauai - playing music, teaching yoga, surfing and continuing to learn, channel inspiration and connect all those around her. Karin Gutman: Who were you in 1967 and what was your dream? Denise Kaufman: I had spent part of 1966 on the bus as Mary Microgram with Ken Kesey and the Merry Pranksters and then played in a band with the guys who later became “Moby Grape.” My dream was to be playing in a band, writing songs that were real and juicy to me and sharing them with the world. I met Mary Ellen Simpson at a party on New Years Eve, December 31, 1966. She was playing some blues guitar and I pulled out a harmonica - it was so much fun to play with her. She invited me to come jam with some other women she’d been playing with and within a week we were starting “an all-girl band.” I knew I wanted to be playing but I never dreamed of an all-female band. I’d never seen or heard of one and now I was in one. As our music evolved, we dreamed of getting a chance to record the music we’d be writing. How would your younger self have reacted if you had told her it would take 50 years to realize this dream? She never would have believed it. I wouldn’t even have believed it myself ten years ago. It was totally impossible to imagine that we’d release our first studio album when we were all in our 70’s. I had played music and written songs all through the years but never thought that they’d be out in the world. I always wrote, sang and played because that nourishes me. You mentioned that the timing of this studio album release, now in 2018, is perfect. Why is that? It’s perfect because women are claiming their power and agency now. #MeToo and other movements and events help us to connect and to see each other’s work. What would you say to those who have yet to fulfill their creative dreams? Don’t give up!!! Keep doing those things that rock your boat. I moved to LA from Kauai in 1983 to go to music school. I was in a class with a few hundred guys who were in their late teens or 20’s. I was 34 and one of the only women. It was fine that I was at least ten years older than my classmates. I just wanted to learn. SO - Don’t let anything stop you from staying connected to your creative dreams. You may need to do other things as well - the arts may not pay your rent - but keep nourishing that aspect of your being as well. It’s never too late! The first official release by the only all-female rock band of late ‘60s San Francisco features contributions from Bob Weir, Jorma Kaukonen & Jack Casady, Taj Mahal, Buffy Sainte-Marie, and many more.